So today i have a mystery polish. This is a super cheap polish i picked up for just one pound. Sometimes these cheap polishes surpise me. This is four coats and is still streaky so i dont think we can say that this is one of those. Application was pretty bad it was watery and liked to flood my cuticles. The colour according to the sticker on the bottle is moolit jade. 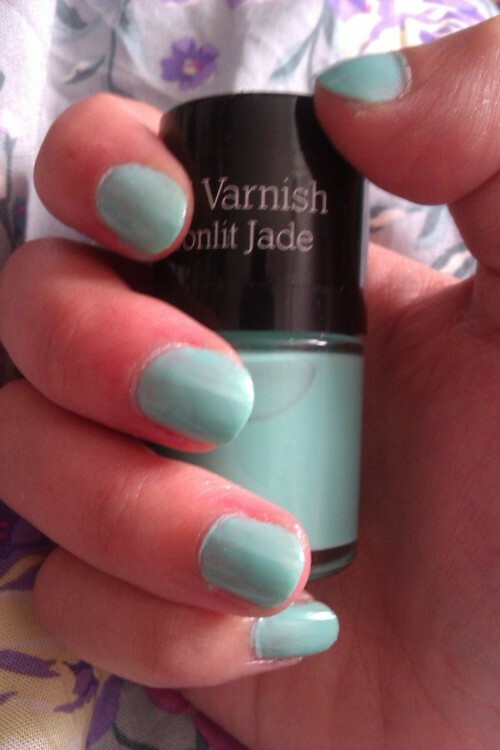 It is a pretty creme jade colour. I will have to see if I can find a better brand with a colour which is like this. I think i may end up adding to this mani to give it a bit more pow.